Want to leave a memorable impression on your friends, family and customers with a beautiful and practical outdoor space? Dual Group provides outdoor and landscaping services for Glenorie residential, strata and commercial properties. Whether you need to freshen up a new or existing property, your garden gets the care it deserves with garden design and lawn mowing, turf solutions, weed control and grounds maintenance. Dual Group is fully licensed, police-checked and insured for public liability. You can trust us to arrive on-time and get the job done with minimal fuss to your day. Our team will take the time to address your specific needs and leave the place looking spotless at the end of the day. 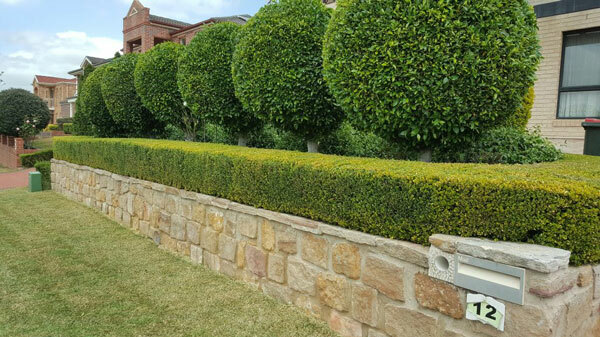 For a free quote on landscaping services in Glenorie, call 1300 303 539 or fill out the online enquiry form with your job details. Have better things to do than pick up weeds on the weekend? Don’t let your precious time go to waste on these laborious chores. Let Dual Group take care of the dirty work so you can enjoy your time off or focus on the business. Of course, we aren’t your average ‘mow and blow’ service. To provide the best lawn maintenance in Glenorie, Dual Group is fully trained to use the latest landscaping and gardening equipment from reputable brands. All of our tools and equipment are well-maintained and tagged on a routine basis to ensure they can handle any outdoor task. It would be nice if gardening was just a ‘one-off’ task you could tick off the list. But of course, garden maintenance is an ongoing requirement no matter what time of the year it is. Dual Groups offers routine landscaping service in Glenora on a weekly, fortnightly, monthly and bi-annual basis. On a schedule that suits you, Dual Group will keep your garden looking fantastic – without the need to book individual appointments each time. Best of all? There are no lock-in contracts and you can cancel at any time. Whether you are building a new property, have just moved in or need help maintain your existing property, Dual Group can help you come up with a plan to achieve a beautiful and practical garden. To request a custom quote, simply call 1300 303 539 or fill out the online enquiry form. Look no further than Dual Group for honest and reliable landscaping services in Glenorie.